June 17th was an amazing day in our journey to find a cure. Over 500 representatives from 60 mutual fund and financial services firms were in attendance to show their support for the cause. 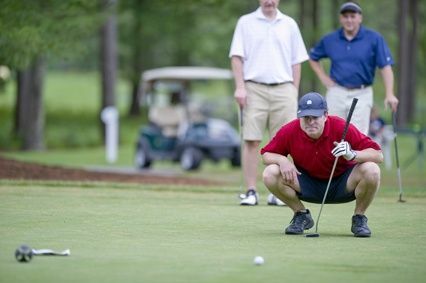 With a new venue added to this year’s event, the sold-out tournament, which spanned three golf courses, proved to be an exciting day for all as we raised over $600,000 for MFAC and it’s mission to support The Center for Applied Cancer Sciences (CACS). MFAC was elated to host a Kids Golf Clinic for the second year. Fifteen kids and their families joined attendees on the putting green and driving range as they learned golf fundamentals from the Pros. Smiles were seen on every face as the kids swung their clubs with excitement and energy. Click here to read more about the Kid's Golf Clinic. The Expect Miracles Charity Golf Classic, with Foundation Sponsor Interactive Data Corporation, hosted more than 500 golfers representing over 60 mutual fund and financial services firms. The event was a quick sell-out at all three courses and two venues – Pinehills Golf Club and Indian Pond Country Club – and raised over $600,000 for MFAC and it’s mission to support The Center for Applied Cancer Sciences (CACS). The cause and mission were at the forefront, as the Kid’s Golf Clinic was held for the second year in a row and included 15 recent cancer survivors and children who are currently in treatment. After finishing up on the course, golfers from both venues gathered at the Indian Pond Country Club’s spectacular terrace for a post tournament cocktail reception and silent auction. Guests crowded the balcony in excitement to watch as a helicopter took flight and paraded around in the sky dropping 500 golf balls onto the course, landing one lucky winner with $4,000! Another gentleman walked away from our opportunity drawing with a “once in a lifetime” experience and will be throwing out the first pitch at a Red Sox game! Later in the evening, guests were welcomed into the ballroom and were able to enjoy a panoramic view of Indian Pond’s breathtaking golf course while dining. Andrew MacKinlay, a cancer survivor and Kids Golf Clinic participant, was the evening’s featured speaker, and gave a heartfelt speech about his journey with cancer and how difficult it can be, as kids just want to be kids. Emcee John Terrio injected the audience with energy as they bid on live auction items ranging from a Patriots vacation package in Miami to an autographed Mickey Mantle poster. Frank Strauss, Founder and Chairman of Mutual Funds Against Cancer, presented the evening’s awards. Paul MacLellan was awarded the CJ Award, given annually to the individual who best exemplifies the humble yet determined spirit of Chris Johnson, while donating their time generously to fight the worthy battle against cancer. As MFAC’s Golf Director, Paul has donated an incredible amount of time to the charity and his extraordinary efforts are what made the event such a success. The Guardian Angel Scholarship was awarded to Tara Daniels. The Bellingham, Mass. resident is 18 years old and is attending Stonehill College in the fall of 2010. Diagnosed at Dana-Farber with Acute Lymphoblastic Leukemia (A.L.L. ), Tara is scheduled to finish treatment in January 2011. Every year, we are in awe of the support the Financial Community has continued to show Mutual Funds Against Cancer. We would like to thank our attendees, sponsors, volunteers and donors, for their dedication to finding a cure. Together we were able to set an MFAC fundraising record! Thursday may have been a loosing night for the Celtics, but it was a win for MFAC and our collective fight against cancer.